The Stated Truth » Looks Down Right Scarey! 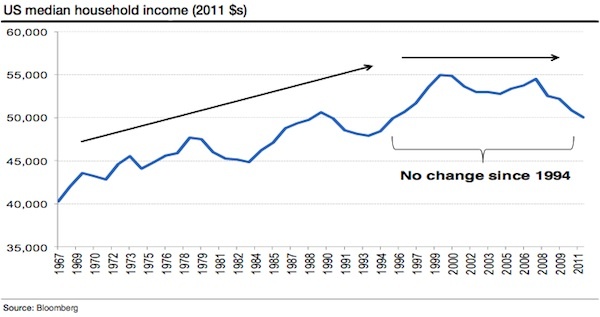 Median U.S. household incomes have been stagnant for most of the last twenty years…and falling hard for the last four years. 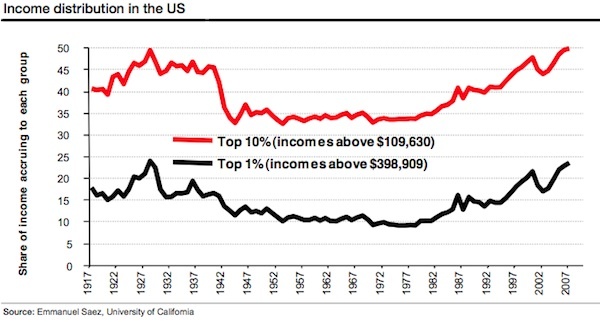 But…..the top 10% and the top 1% earners have risen dramatically!